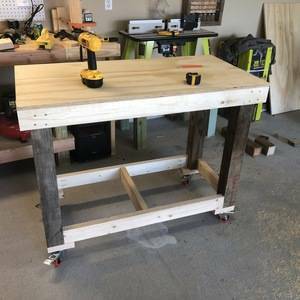 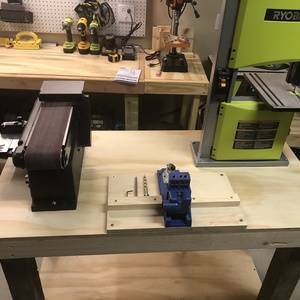 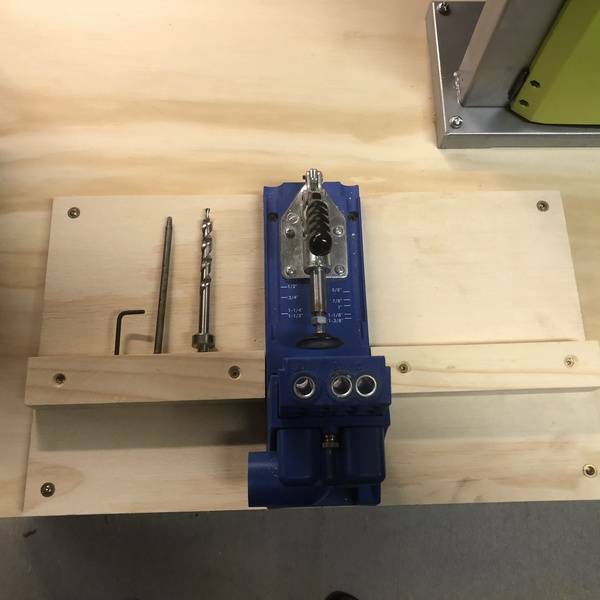 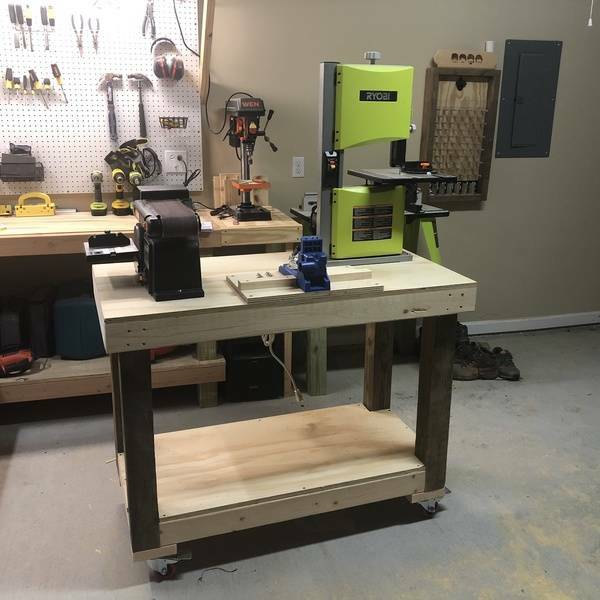 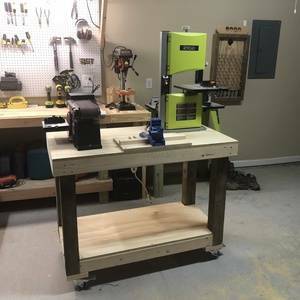 I needed a space for my new Ryobi Bandsaw and figured I would design and build a mobile workbench. I realized I would have a lot of extra space on the bench top during the design phase and decided to create a Kreg Jig work space and also have my belt/disc sander on top as well. 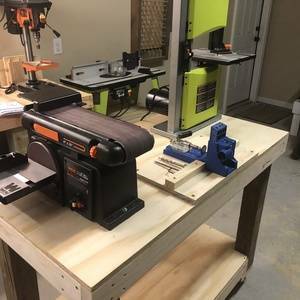 The whole project was made from scrap wood I had around the shop.